Thanks to all those that entered and I'm working on a brand new set of giveaways for 2010! I don't think there is one child that doesn't like Build-A-Bear Workshop and I don't blame them. I can't imagine the fun I would have had as a child getting able to build one of these adorable animals. My oldest took my six year old to Build-A-Bear last weekend and she made two of the new Star Wars bears. One was Darth Vader and the other was a Storm Trooper. 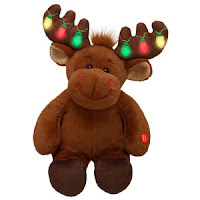 The newest collection is Holly and Hal Moose and the clothing accessories make them even more adorable. 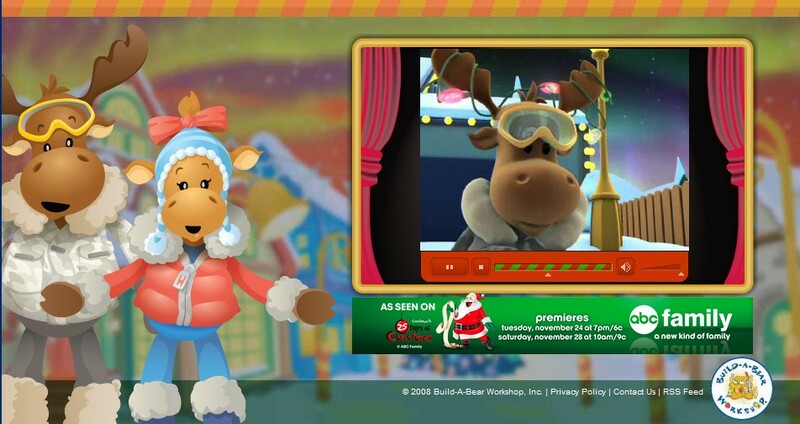 Thanks to MomSelect and Build-A-Bear, I received the MomSelect Holiday Product Pak that had both Holly and Hal Moose. Not only are they soft and cuddly but the antlers on Hal really light up! There are even music choices to add such as: Giggle Sounds, 6 in 1 Best Friend Sounds, Frosty the Snowman Song, Jonas Brother Sound and many more. Just click here to hear samples. 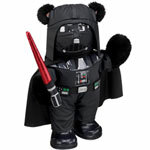 Here is something that I didn't know about Build-A-Bear, you can add embroidery to really personalize a gift. It only costs $8 more but well worth it. My daughter went to a Build-A-Bear birthday party last year and that's what we're doing next year. It was so much fun watching all the little girls have fun picking out their own bear, making it and then choosing the clothes. The Associate was fantastic and was in the right place in making sure the kids had a great time. 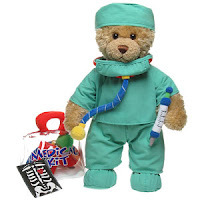 Build-A-Bear is really a one stop shop for all kinds of fun for your little one's and even adults that enjoy receiving cute, cuddly and personalized furry little friends. 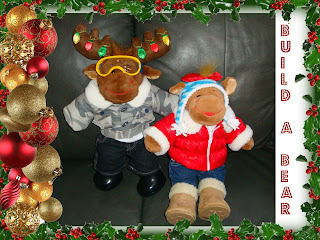 Holly and Hal even have a special Christmas Adventure. Click HERE to watch the trailer. If you missed the airing of the movie, you can still watch it here. Holly and Hal Moose: Our Uplifting Christmas Adventure book is a fun filled adventure that will delight any child. The story is free when you buy both Holly and Hal or for $15.99. Two Build-A-Bear eGift Cards ($10 value each). Follow my blog and leave a comment in the form below. Go to HappyHollyBlog.com, watch the trailer and comment about what you saw for FIVE entries. Giveaway ends 12/20 at midnight. Two winners will be chosen by random.org. *Note: I received Holly and Hal Moose from MomSelect and was not financially compensated for this post. Both have had e-mails sent and have 24 hours to respond before a new winner(s) will be generated via Random.org. Also entered in your Adorable Baby Clothing $25 Gift Card Giveaway 12/03/09. I watched the trailer. My daughter and I saw the special on TV and really enjoyed it. Well-made family show.